1. Nobody is either 100% introverted or extroverted, everyone is a little of each. For this reason, personality typing is flawed. 2. Upon retesting, people are getting different results 5 months later. Therefore, personality typing is flawed. Okay, so let’s start with argument #1. The funny thing is, if anyone researched Myers and Briggs’ theory deeply enough, they would see that it never categorizes people as being 100% introverted or 100% extroverted. In fact, nobody is 100% a feeler or 100% a thinker. 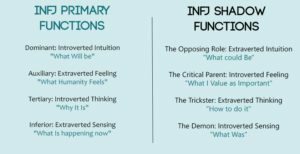 Once you really get down to the cognitive functions, which are the core of the personality typing, you will see that everyone has extroverted, introverted, thinking, feeling, sensing, intuitive, perceiving, and judging functions. Wait a minute? But I’m an ESTJ! This means I’m an Extrovert, Sensor, Thinker, Judger, right? As you can see, as an ESTJ you are more than just extrovert/sensor/thinker/judger. You have introverted and extraverted functions, you have thinking and feeling functions, and sensing and intuitive functions. All the test has concluded is that your thinking function is more dominant than your feeling function, that your sensing function is more dominant than your intuition function, and that your dominant function is extraverted instead of introverted. To find out more about what these functions all mean, you can check out this link. As for me personally, I am an INFJ. This means that I’m an introvert, but my second most dominant function is extraverted feeling. Because of this, INFJs can sometimes be mistaken for extroverts. We want to understand people, make them feel good, at ease, and so on. If I’m in a room and there is an awkward silence, I will be aware of it and try to change the mood to be more ‘harmonious’. If I was the stereotypical introvert, I’d want to be alone all the time. However, most healthy introverts will want some time socializing, so they can use their auxiliary extraverted functions. So no, nobody is 100% introverted or 100% extroverted. The true MBTI® test will just show you if you prefer extraversion over introversion. It will show you what you extravert, and what you keep more hidden. Five months ago I tested as an ISFJ and now the test says I’m an ISTJ! What’s that about? Doesn’t this mean the test is flawed? OK, so first of all, you have to look at what test you are taking. Did you have acertified MBTI® professional evaluate you? Or did you take a free online test? If you took a free online test, then it’s going to be a whole lot harder to get an accurate result. You might get a few of the letters right, but possibly not all of them. Maybe you answered the questions in a different mood each time. 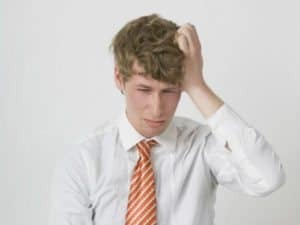 For example, the first time you tested you were concerned with family issues, which gave you a feeler result, and the second time you were more concerned with the stock market, which gave you a mental bent towards thinking. Online tests are imperfect. They can point you in the right direction a lot of times, but to get a real accurate understanding of your type, you really should read about the cognitive functions and figure out which ones you use the most. Learning your personality type can be incredibly helpful to you, but only if you understand correctly which type you truly are. The best way to do this is to study the cognitive functions, preferably with somebody who knows you well. This way, if you’re unsure, they can help you with it since they’ve seen you from an outside perspective. Figure out which of the functions you relate to the most. But I really want to take the online test! It’s so much easier! It definitely is! The online tests can help to point you in the right direction, just don’t be too hasty to take their result as 100% fact. If you get a result, read the description of your type profile and see if it matches up with who you feel you are. Can you relate to it? Try reading the profiles of other types that are similar and see if one of them matches you better. Keep in mind, everyone has the ability to use all the cognitive functions, the MBTI® Indicator simply tells you what your natural preferences are. You’re a thinker AND a feeler, but which do you prefer over the other. I hope this helps you figure out where you stand on the whole personality typing debate. 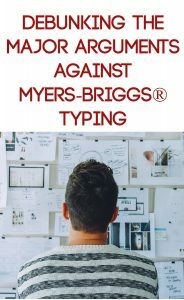 If you’re new to Myers and Briggs’ theory and have no idea what I’m talking about, I’ll be posting more soon about personality typing for beginners and tips on discovering your type. Do you have an argument for or against personality typing? Let me know in the comments and I’ll try to respond as soon as possible! I certainly agree with your second point, low test-retest validity indicates that the test is bad more than the theory behind the test is bad. Psychological testing can be very nuanced and a free test being able to capture the complexity of personality is unlikely. As far as your first point, I’d still argue that as a weakness of the MBTI as a personality framework. You’re right in that MBTI doesn’t claim anyone is 100% one thing or another, but you have to agree that it is inherently bimodal. It implies that, even if everyone is on one extreme end of the spectrum or the other, there are still two peaks on either end with relatively few people being in the middle. However personality, like most other human factors, generally follows a normal distribution with most people in the middle and relatively few at the ends. You might want to look into (if you haven’t already) the Big 5/Five Factor Model (extraversion, openness, agreeableness, conscientiousness, neuroticism) which reflects a normal distribution and has wide scientific support. U still didn’t get it. Big 5 is ok but shallow one, it is ok if u find it easy and useful but MBTI or Jung’s types are the way they are. It is where the real psyche domes from and no we have both introversion and extroversion read it again. We have functions different for them. It is the way we basically are. Enneagram is more behind the scenes and Big 5 is more infront. MBTI/Jung is where the formation of diff. really starts. It is not for u. Don’t forget even the other 16 model and Big 5 still use Jung’s extroversion/introversion but in a very shallow way saying introvert is shy and extrovert is social. It might be helpful and easy to notice at first glance or for some ppl but deep ppl like INFPs can def. find Jung types really useful and it might be for types like us to get more fulfilled explanation and to be of use for us to understand ourselves and others. In that way no model is less. Argument #1 strikes me as a strawman argument. Sure, there are people who say ‘No one is 100% Extroverted or Introverted”, but that’s not really the major argument. The major argument is that people are not 100% ISFJ or 100% ENTP or whatever. For those who test and get borderline results, they may be just as likely to be an ENTP as an INTP. And that’s the problem with MBTI. It assigns people a type without consideration that they may resemble other types just as much as the type they tested as. In a way, everyone is all 16 personality types, just some more than others. It’s obvious to me that both MBTI Skeptic and Ian Raugh did not actually read Point #1. Their argument that the system is invalid because it’s an either-or dichotomy would ONLY work as a criticism of the MBTI if you believed that the four-letter code was all there was to the theory. Being a perceiving type does not make you unable to judge, nor vice versa. I am an INFP who can act REALLY judgmental, and that’s because my primary function IS actually a judging function. What being a PERCEIVER means is not that I don’t ever make decisions or that I can live in total chaos without any adverse effects (I mean, my room could well turn into the very definition of entropy if I let it, but I still suffer the consequences), it simply means that my perceiving function is the side of me that gets shown to the world… extraverted intuition, which explains why I’m better at being creative when I’m talking with like-minded people and get to bounce my ideas off of them, rather than just sitting alone and daydreaming. My mother is an ISTJ, and her primary function is, again, a sensing function, even though she is a Judger, and no one who knew her would have any doubt that she is a Judger. Again, I must reiterate the point stated in the article, since they did not understand it the first time around. Everyone thinks, feels, senses, and intuits. The four-letter code really IS a code, in that you have to work to decipher it in order to find out what it means. And the real meaning is 1) the orientation of each thinking, feeling, sensing, and intuitive function, and 2) the order in which each type prefers to use their four top functions. I would also like to reiterate that just because someone uses a function oriented in one direction, and that rules out the oppositely oriented version of that function having a place in their primary stack, it doesn’t mean they NEVER use the function that is opposite in orientation to their preferred one. If that were true, everyone who uses extraverted feeling would blindly follow the crowd and have no personal morals, everyone who uses introverted feeling would never feel peer pressure or be tempted to violate their personal morals. And anyone with introverted sensing in the top four places in their stack would be totally blind, deaf, and otherwise non-receptive to outside stimuli. Everyone uses every function at SOME point in their lives, it’s just that if it’s not in your personal stack, you’re less likely to excel and/or become totally comfortable with using that function. Someone who uses the introverted version of a function will run into characteristic difficulties if they’re in an environment where the extraverted version of that same function is promoted, but they will adapt, either by forcing themselves to develop that function more, or by “faking it” and figuring out a way to deal with the situation using the functions they are already familiar with. Most people will run into a situation like this, and most of these people manage by a combination of these two tactics.